A new and wonderful variety of Clematis, 'Dancing King' is a deciduous, perennial climber. In late Spring, very large, ball-shaped, slightly open flowers bloom that are truly magnificent. White, flushed with purple with yellow or green centres these blooms will be sure to add that little something special to your garden! 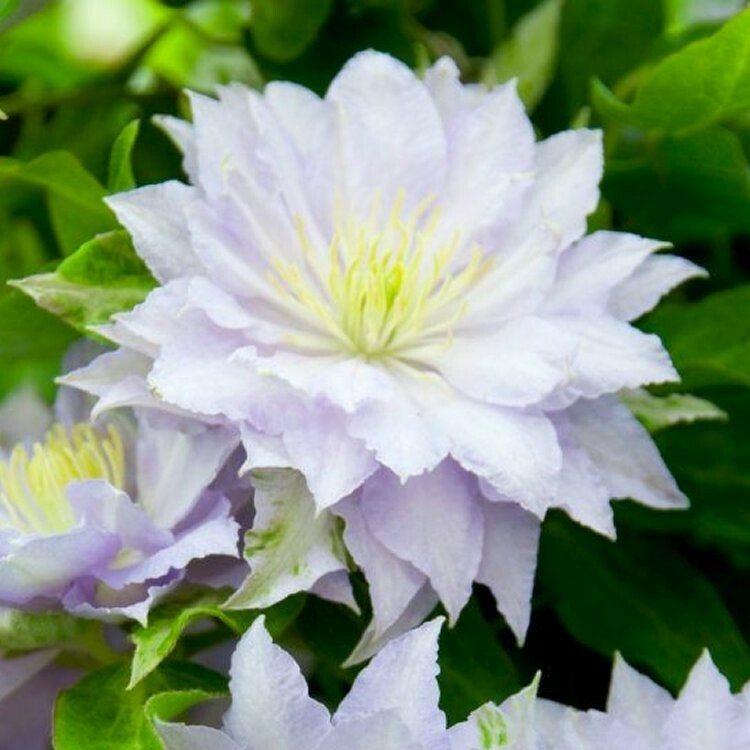 Quite a compact Clematis, reaching only 1 to 1.5 metres tall making it ideal for a container against a wall or trellis.